How to save Thunderbird Email as EML for easy migration? You are here: CoolUtils > Total Thunderbird Converter > How to save Thunderbird Email as EML for easy migration? Would you like to migrate emails from Thunderbird to another email client? In most cases you will have to export your emails as EML files and then import those EMLs into your new client. EML files are accepted by Office Outlook 2010/2013, Outlook Express, Windows Live Mail and Windows Mail. With a powerful converter it is not a pain to convert Thunderbird emails to EML. You can do this quickly with the help of Total Thunderbird Converter, which can process large amount of messages in one go. Note that it also converts MBOX files to EML. Destination is a location where converted copies will be saved to. You can use the File name template option only when you convert emails from Thunderbird to EML files in batch. It helps then to sort EML copies by subject, date or any other parameter. It doesn't matter how many messages you are going to convert. If they are located in one mailbox folder, you are free to convert them all together. If messages are in separate folders, just convert them in groups. 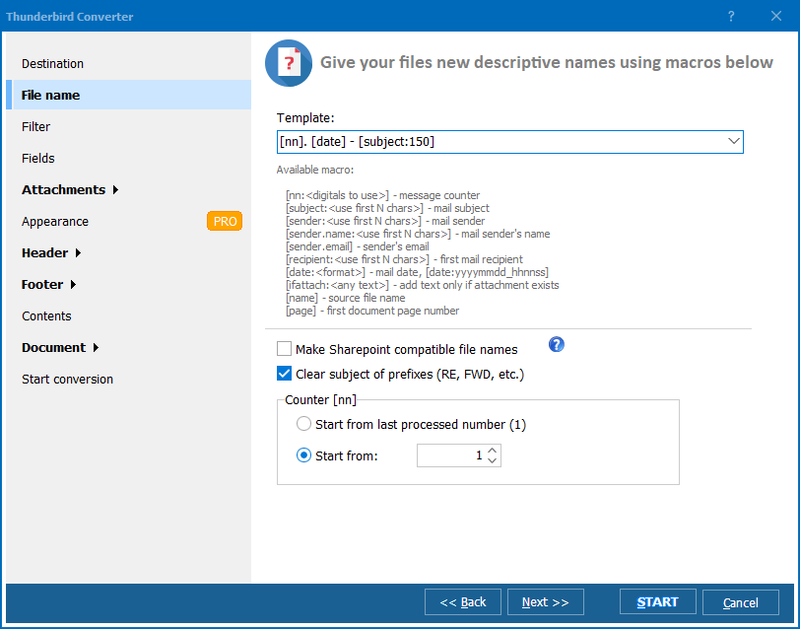 The program is powerful enough to convert emails to other file types, including Thunderbird to PDF, or Doc, or TXT. While with other target formats it is possible to select fields for conversion, in EML this Thunderbird converter exports all fields. And it allows to get rid of prefixes in subject that usually appear when email is forwarded from other emails or sent as a reply. 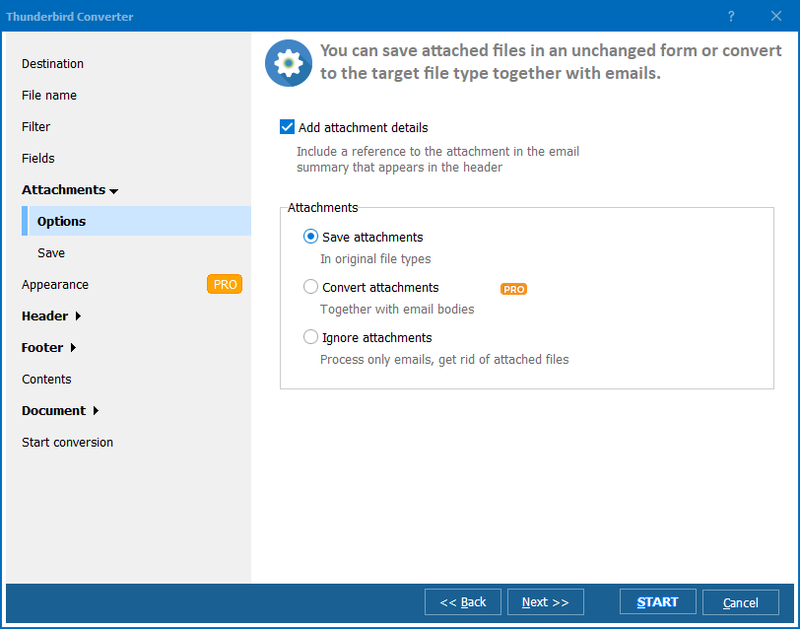 Total Thunderbird Converter Pro also processes attachments. It can either convert them to the target format or save as they are to a folder. Inserting attached images into the email is also among available Pro options. This way you will convert Thunderbird email to EML and extract attached files for further use. They can be also named according to a preset name template. 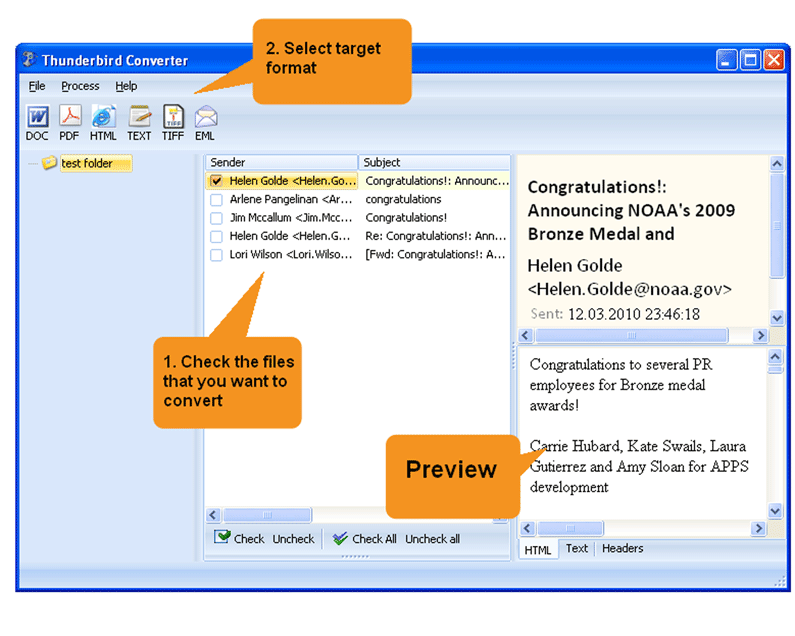 Whatever advantages are offered in this converter, it's always better to try it in action. Download a 30-day free trial demo that has all options on board! How to convert MBox to EML easily?